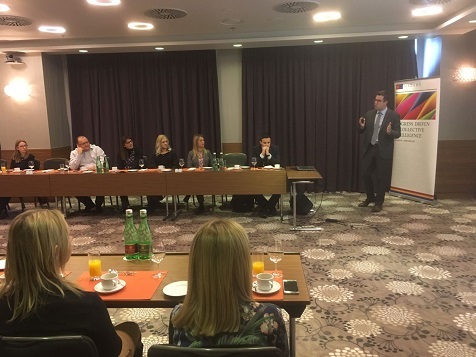 Nordic Chamber of Commerce organized on Thursday 22 March 2018, at Hotel DoubleTree by Hilton Zagreb, a business breakfast and lecture with Mazars Croatia, a member company of the Chamber. The lecture on the topic “Financing structure – what does differentiate successful and unsuccessful businesses?” gathered representatives from Nordic-Croatian companies with interest in the topic. Participants had opportunity to learn about key financial ratios and measures that can identify financial difficulties in early stage. By using concrete examples and different cases from real life perspective, the relevant methodology that can help identify the poor financial structure and determine the negative financing gaps was presented to the audience. How to detect the problem in the financial structure (key financial ratios which help to detect a risk from financial structure perspective)? How to improve financial structure management by using key performance indicators? The event raised huge interest among Nordic Chamber of Commerce members and business partners, and was followed by Q&A related to the topic. This was also an excellent opportunity for networking and establishment of new business contacts among representatives of Nordic-Croatian business community. To view photos from the business breakfast, please visit Photo Gallery or click here.